Choosing a water heater for your home or business can be a tricky decision. 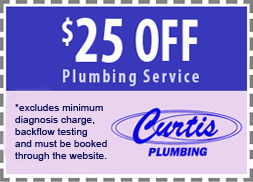 Let the professional plumbers at Curtis Plumbing help make the decision an easy one. With full service installation and repair we can have your hot water up and running in no time! Here are some of your water heater options for your plumbing system. Demand (or instantaneous) water heaters eliminate the storage tank by heating water directly when there is a call for hot water. These units are growing in popularity in the U.S. The energy consumption of these units is generally lower since standby losses from the storage tank are eliminated. Demand water heaters with enough capacity to meet household needs are gas- or propane-fired. They have three significant drawbacks for some applications: Large simultaneous uses (two showers and the clothes washer, for example) may challenge their capacity, particularly in winter, when the inlet water is coldest. They will not turn on unless the hot water flow is ½ - 3/4 gallon/minutes. Retrofit installation can be very expensive. Finally, because the efficiency tests were not developed with these designs being considered, it is not known if the "EF" accurately estimates energy consumption. 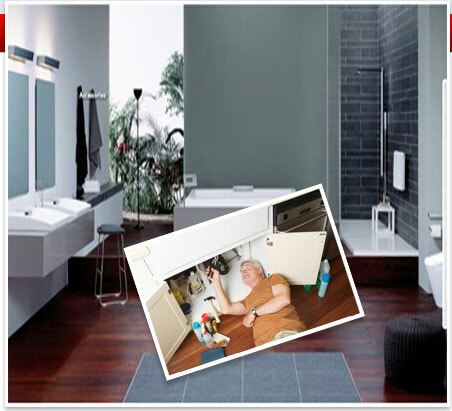 If you choose a tankless unit, look for one eligible for 2006-2007 federal tax credits (EF levels).